You want it? We’ll get it. At Carolina Custom, you’ve found the tested team who can connect you with the goods and the skills to blow past the limits of customization. Bring your craziest ideas, most extreme conversions, and pickiest requests. Whether you’re into form or function, we’re your direct line to deep product options from an expansive array of brands. The selection in our showroom will blow your mind, and we dare you to request a modern product we can’t dig up. 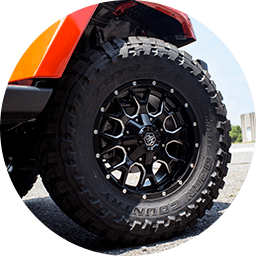 Better yet, we’re the only customization shop that offers new-vehicle take-off parts at a discount to maximize your value when you bust up your Jeep. Suspension upgrades are a big deal, and we treat them that way! 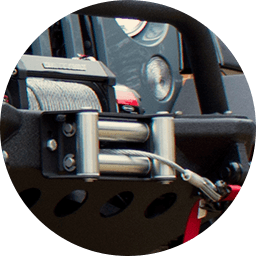 You can trust our seasoned technical service team to help you choose the right lift kit, determine your net lift height, and find the best value. 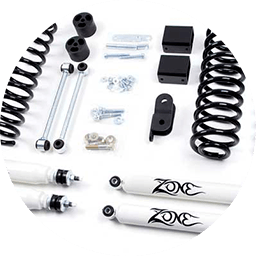 Our experienced craftsmanship guarantees you a flawless suspension conversion. Basic body modifications like bumpers, sidesteps, and fender flares go a long way toward making your rig rock. We perform all kinds of body customizations in-house quickly and affordably. If you have an idea that you don’t see listed, just give us a call! 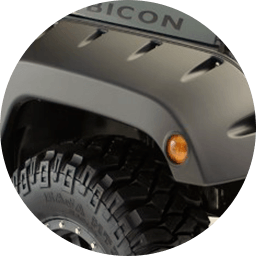 Wheels and tires provide the entry point to vehicle customization for many people. They’re the most popular modifications, and people upgrade on all makes and models. 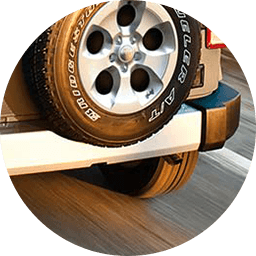 There are two reasons you should choose Carolina Custom for your wheel and tire upgrades. The first is our extensive selection. The second is our expertise. We’ll help you choose the right wheels and tires, and we’ll make sure they’re installed and balanced for optimal performance. What else could you want from your wheels and tires? A custom-mounted winch brings new possibilities to the world of off-roading. With the right winch, you can climb any summit, clear any obstacle, and conquer any terrain. Even if you never get a chance to do any of that, your rig will still look brutal. 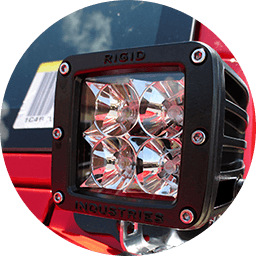 If you’re looking to add big visual impact with a quick low-cost investment, our interior and exterior accessories will keep things interesting. We have access to a virtually endless supply of aftermarket and OEM upgrades and additions to top off your car’s style. Need OEM stock parts? At Carolina Custom, you won’t have to pay retail. Our stock of take-off parts is made up of factory original components that we’ve removed in upgrades of brand-new and gently used vehicles. With take-offs, everybody wins! 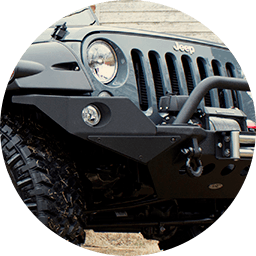 If you need a Jeep or other vehicle part to replace a damaged stock part, give us a call at 704-655-4444 and we’ll let you know if we have one on hand. Off-roading is a lifestyle! 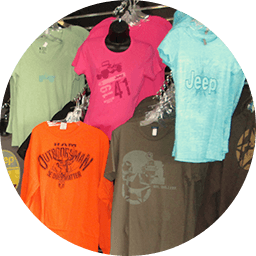 Find affordable Jeep and off-road gifts for every member of the family at Carolina Custom. We’re constantly rotating stock to offer the latest apparel designs from major and niche brands.